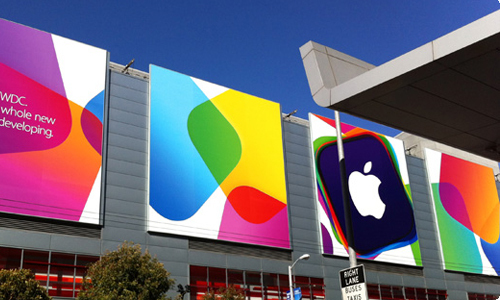 The countdown has begun for Apple's developer conference of this year. 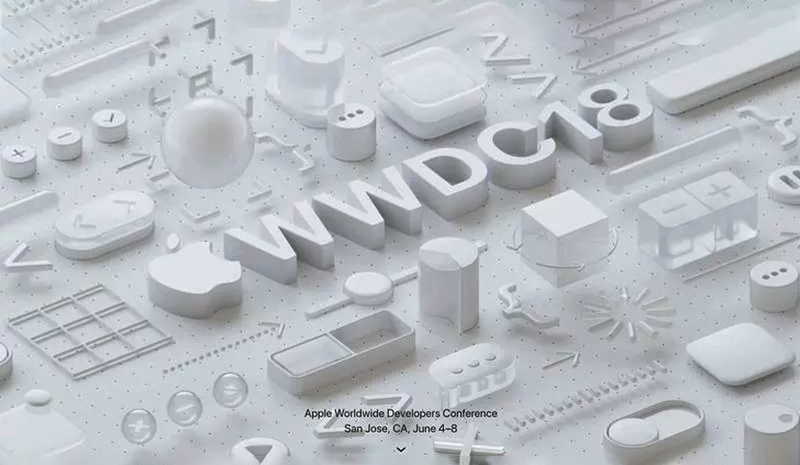 Apple's developer conference of 2018, WWDC (Worldwide Developers Conference) is scheduled to be held in the next week and no guesses, we all are very excited about the same. Taking its legacy forward, this time also Apple will work on the same lines and will announce all the projects, software/updates related to iPhone and iMac, and future undertakings it is going to work in the next one year. Who knows, you may also get a chance to witness the unwrapping of iPhone X2, iPhone X2 Plus, or even an LCD iPhone. The event location is same as that of last year, which stays to be McEnery Convention Center in San Jose. The place is already buzzing with a lot of excitement. Vibrant banners are there and decorative posters are set straight. 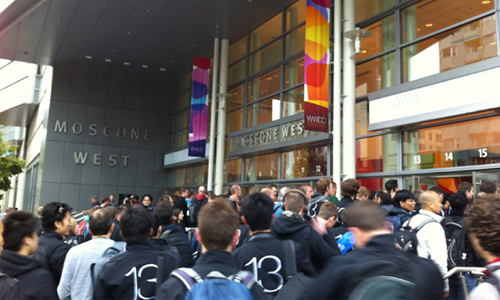 WWDC is open for developers and consumers from all around the globe. It is a perfect platform for Apple to discuss its future with the developers and showcase the innovative technologies that they are working upon. In the last conference, Apple unveiled a lot of its new toys like iOS 11 for iPhones and iPads, the Siri-powered speaker called HomePod, a new iPad Pro, watchOS 4 for Apple Watch, MacOS High Sierra for Macs, and a lot more. 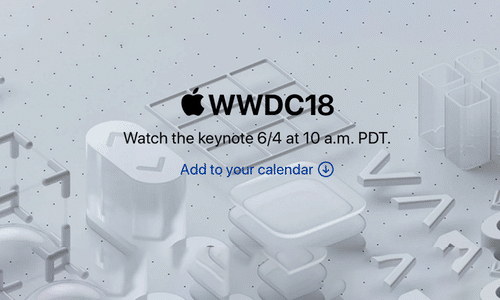 If you are a faithful follower of all the Apple devices and updates, you won’t be thinking of missing this high-profile WWDC event. Pull up your socks for one of the most significant tech gatherings of the year. See you on the other side of the WWDC 2018. Though the registration was closed way back on March 22, 2018. Whosoever was lucky enough to grab the tickets will witness the stunning event. Even for grabbing a ticket, one has to try his luck as the selection of the audience is done purely on a random basis. In the developer’s conference, make appointments with Apple experts for personal one-on-one help on user interface design, accessibility design, app review, marketing, analytics, app distribution, and more. User Interface Design: Get advice on making your apps visually compelling and simple to use. Come prepared with a working prototype, development build, or your released app. Accessibility Design: Find out how to make your apps accessible and easy to use for everyone. Learn the basics of VoiceOver and other accessibility features to understand better how customers with varying needs use your products. Come prepared with a working prototype, development build, or your released app. App Review: You will gain a better understanding of the App Store Review Guidelines so you can plan and build your apps with these essential guidelines on iPhone and other devices. iTunes Connect: You can ask questions about iTunes Connect and features like TestFlight, Sales and Trends, and App Analytics. Moreover, learn about responding to customer reviews, offering subscriptions, setting up apps and in-app purchases, uploading builds, altool, Transporter, and more. 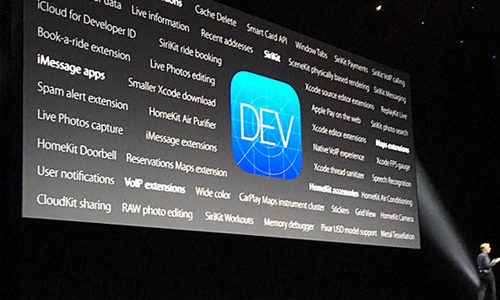 Apple Developer Program Support: Directly get assistance on updating your developer account information, managing your development devices and certificates, renewing your membership, and more. Export Compliance: Find out what is required for your apps to comply with the U.S. Export Regulations for encryption and get details on how Apple reviews apps that use encryption technologies. Business and Marketing: Receive guidance on choosing the right business model for your app, pricing strategies, discoverability, launch planning, marketing, engaging your users, making the most of your product page, and localizing your app to reach users around the world. Apple Marketing Communications: Through it, learn how you can be considered for potential promotional opportunities outside of the App Store. These opportunities include Apple.com, Apple Retail Stores, Channel, and Broadcast. Search Ads: Search ads will enable you to know how to put your app at the top of relevant App Store search results to efficiently drive app downloads. You will be able to record the latest episode of your audio podcast, right here at WWDC 2018. Each 60-minute session can accommodate up to four contributors, with Apple experts on hand to help get your session up and running. You will receive a copy of session for post-production and distribution. The participants will get a chance to bump into like-minded developers and Apple experts for engaging and motivating conversations around specific topics. Women@WWDC Breakfasts: This particular program will be open to all women and advocates. There will be an engaging panel discussion with female WWDC scholarship winners, moderated by Adele Peterson, Apple Engineering Manager of Mail and Co-Chair of Women@Apple. Thursday morning kicks off with Christie Smith, Apple’s Vice President of Inclusion & Diversity, leading a conversation on intersectionality and identity in the workplace, culminating in the activity “You in Six Words.” And on Friday morning, Kim Azzarelli, CEO & Co-founder of Seneca Women and Chair of Cornell’s Center for Women, Justice, Economy & Technology chats with Esther Hare, Senior Director of Worldwide Developer Marketing and Executive sponsor of Women@Apple, about new myths that hold women back in the workplace. Games: Get the chance to network with the community of game designers, developers, and Apple experts for engaging conversations about key topics driving game development on Apple platforms. Also, connect with others who share your interests and get play time with award-winning games from your favourite genres across iOS, tvOS, and macOS. Machine Learning: Meet up with many of Apple’s Machine Learning experts as well as others in the ML community to chat about Apple’s ML advancements. Augmented Reality: As you know, Augmented reality can transform how you work, learn, play, and connect with almost everything around you. See how AR is used creatively for learning and get hands-on with a broad range of compelling AR apps and games. Meet others who share your interests and learn more about the capabilities of ARKit. Apps for the World: Meet developers and Apple employees from China, India, Southeast Asia, Latin America, Middle East, Russia, Turkey, and Africa. Check out some of the best local apps and find out how to expand your app business into these countries. Ask questions about language, culture, infrastructure and region-centric design and come away with a plan to get your app into the hands of new customers. Accessible Technology and Inclusive Design: Explore the many ways that apps can be accessible and inclusive to everyone. Find out about the great work being done in accessibility for entertainment, education, art and design, productivity, and more. Ask questions, share experiences, and envision new possibilities together. Health, Fitness, and Research: Engage in discussions about healthcare, fitness, wellness, and research, as well as related Apple technologies such as HealthKit, ResearchKit, and CareKit. It is an excellent opportunity to share your iOS, tvOS, and watchOS app experiences, network, and brainstorm new solutions. Throughout the event, get showered with exciting special presentations. Mapping Archaeology from Space: Sarah Parcak is an archaeologist specializing in the use of satellite images to map the world's ancient treasures. Using high-res satellite and drone imagery, she uses subtle variations in the Earth’s surface as a clue to potential hidden man-made features beneath. Winner of the 2016 TED Prize, Sarah will discuss the online citizen science platform she has recently launched to “protect the world’s hidden heritage” as well as some of her most recent stunning findings. Unleashing the Power of Kids: UNICEF works in more than 190 countries and territories to put children first and has helped save more children’s lives than any other humanitarian organization. Today, UNICEF is leveraging real-time data and emerging technologies to not only protect children’s lives and rights but also empower them to drive change in their own communities. Rajesh Anandan, founder of UNICEF USA’s Ventures group, will share insights from innovative youth empowerment programs from Kampala to Kathmandu to Klamath Falls, including UNICEF Kid Power, which launched the world’s first Wearable-for-Good that was named one of Time’s 25 Best Inventions. The Art of Science- Bringing Pixar’s Imagined Worlds to Life: Danielle Feinberg has had a remarkable career at Pixar Animation Studios where, as Director of Photography for Lighting, she gets to interweave her passions for art and math, science, and code to help bring Pixar’s fantastical world to life. Join Danielle as she takes you behind the scenes of Finding Nemo, Brave, WALLE, Coco and more to discover how the things you imagine can become real. Close Your Rings Challenge: Get the motivation you need to close your rings on Apple Watch every day, even during WWDC 2018. Complete daily goals throughout the week for a reward. Apple Design Awards: Learn about the remarkable developers who used their ingenuity and savvy to build the year's best apps for Apple platforms. Kayla Itsines Bootcamp powered by SWEAT: Jumpstart your morning with this 45-minute workout led by global fitness phenomenon Kayla Itsines, renowned trainer, author, and co-creator of the BBG programs available in the SWEAT app which helps women live their best life through health and fitness. The app is available on iPhone and all other iOS devices. 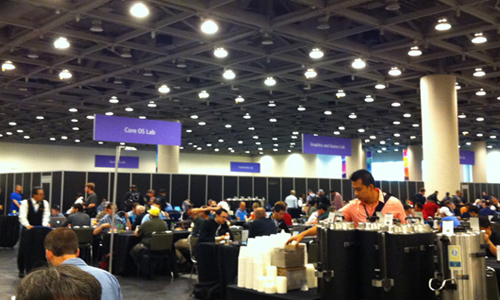 Get-Togethers: Engage in motivating conversations around key topics with fellow developers and Apple experts at WWDC. Meet new people, consider different ideas, and encourage each other to reach new heights. Music on the Plaza: Enjoy live music, a selection of local beers, and the company of fellow developers. WWDC Run with Nike Run Club: Celebrate WWDC with a one-of-a-kind run through San Jose with the coaches from Nike Run Club. Bring your favourite running shoes, your iPhone or Apple Watch with the Nike Run Club app installed, and a pair of headphones to participate in the fun. Guest Speakers: Explore a variety of perspectives and gain valuable insights through compelling presentations given by industry experts and luminaries. Bash: Experience incredible music, food, and drinks at Discovery Meadow, just steps away from the McEnery Convention Center. 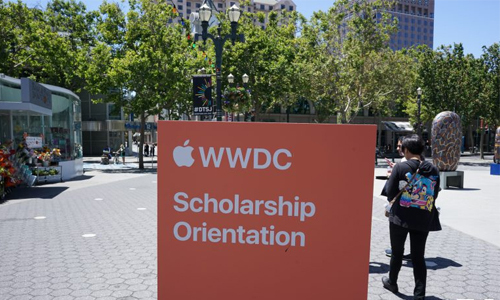 WWDC 2018 Scholarship program will reward talented students and STEM organization members with the opportunity to attend this year’s conference. 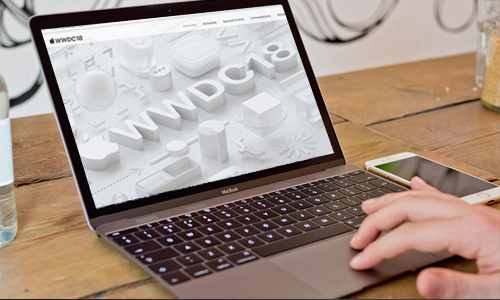 Developers selected for a scholarship will receive a WWDC 2018 ticket, lodging for the conference, and one year of membership in the Apple Developer Program free of charge. You just have to build a Swift playground to showcase your ingenuity, answer a few questions with written responses, provide documentation, and submit. Enrolled part-time or full-time in an accredited course of study, or be a member of a STEM organization. 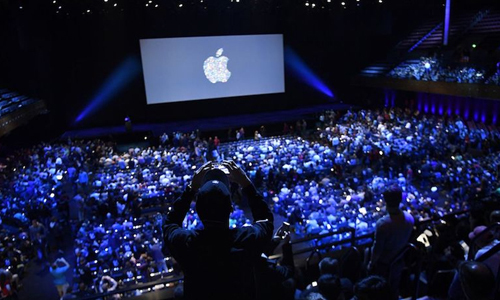 Apple will kick-start the event with a keynote at 10 am PST (6 pm BST). 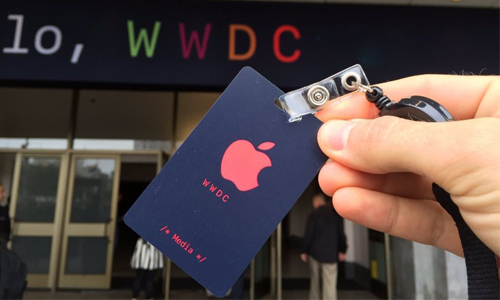 The whole event will be available online and can be viewed through the dedicated Apple site or the WWDC app on iPhone, iPad, or Apple TV. It will be a two-hour event. 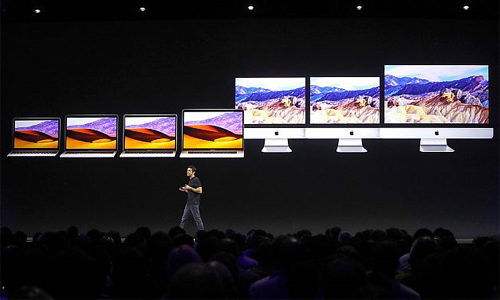 On Mac: To stream the WWDC keynote on the Mac, you need to open it up on the Safari browser, and most importantly, the operating system should be up to date beforehand. It should be running macOS Sierra 10.12 or later. On Apple TV, iPad or iPhone: Any model of the Apple TV after the second generation can stream the keynote via AirPlay with the latest Apple TV software or tvOS. 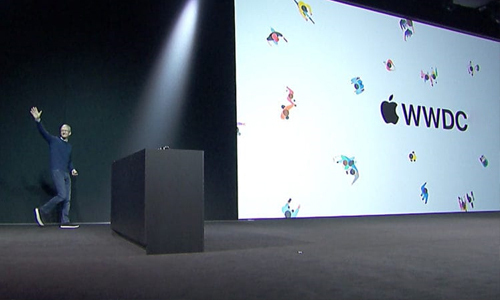 It will stream through the Apple Events app. The older Apple TV model will directly pop-up the Events app on the TV screen. However, to stream the keynote on an iPad or iPhone, update your device to iOS 10 or higher and download the WWDC app via the app store, or make use of Safari browser for the keynote. On Windows PC: To stream the keynote on the Windows PC, you will need Windows 10, and the only browser that will support the keynote live streaming will be Microsoft Edge. Following is the time schedule for various time zones around the globe. Don’t miss it. 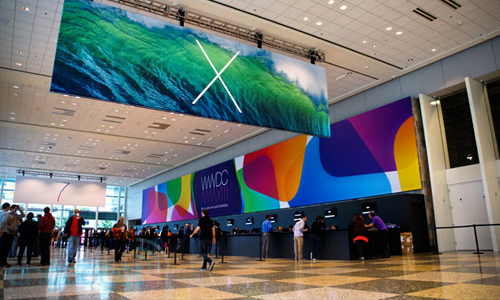 Now as you are well aware of the WWDC 2018 full schedule, brace yourself for the new announcements and software, especially the developers. The event will be significant for the iPhone X users also because they would like to see some of the other addition in the feature box of their iPhone. Although the buck won’t stop with the iPhone only, iPad, watchOS for Apple Watch, and MacOS will also be part of the gala party. PREVIOUS What Separates A Native App From A Hybrid App? If you are looking for something different to the iOS app store, look no further than Panda Helper. Offering a massive choice of modified apps and games for free, plus a few tweaks, Panda Helper is one of the best alternatives so read on for all the details.How to Download Panda Helper?